This cake was rather hastily made after I had the idea. 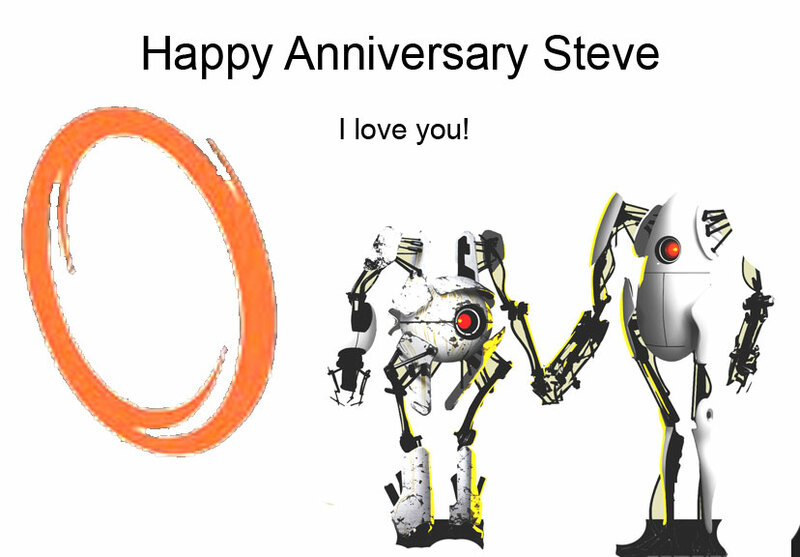 I had a very limited time-frame while my husband was at work to make his birthday/our anniversary cake. This was my basic concept design, Cake Front Template - Cake Back Template (linked in full size so that you may print and use if you like) . But due to several mishaps I had to abandon some of the lettering in the interests of time. I actually had to usher my husband, eyes covered, past the kitchen and into the bedroom to wait so the surprise would not be spoiled before it was done. I used this Pound Cake Recipe (doubled with 1/2 hour less cook time, I almost burned the dickens out of the whole thing) and this Marshmallow Fondant Recipe. I also used strawberry jam for the filling. And I set the top piece of a birthday candle in the fondant '2'. After baking, leveling and assembly I froze the cake for 2 hours before covering. Unfortunately I ran into a mishap with the fondant. I found out the hard way that all marshmallow is not created equal (I had purchased a store brand that I never used before) and I had the most fragile fondant ever that fell apart and tore at the slightest provocation. After much struggle I messily covered the cake (this bad fondant left it much lumpier than I wanted) and hoped that it wouldn't distract from the finished piece. I overlayed all my small fondant work over my rough printed template before I transferred it to the cake. Then I brushed the backs of the pieces with a little water to help it bind to the fondant covering. Finally, to cover up the very rough edges, I whipped together some quick frosting. And Ta-Dah! 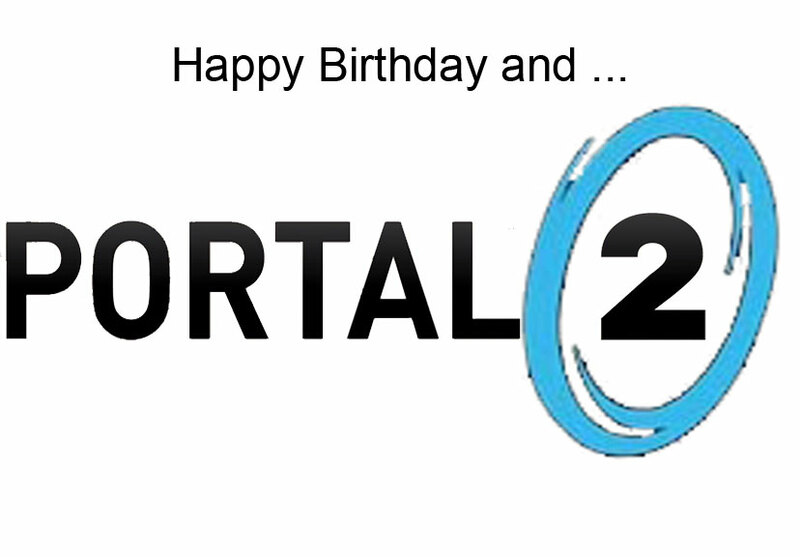 Portal 2 Cake! The cake was saved for the next day when it was devoured by our D&D group. Here is a little tidbit of video from my husband's birthday. This is actually bloody brilliant! Cool cake, too bad after you eat it it will eventually come out another portal. Well in the wise words of GLADOS, "Speedy thing goes in, speedy thing comes out."